On this date in 1862, President Lincoln signed a bill entitled “The District of Columbia Compensated Emancipation Act.” Though this particular bill was not composed by Lincoln, he had while serving as a congressman in 1849 introduced a similar measure. That was, of course, unsuccessful at that time. The emancipation bill of 150 years ago today resulted in the compensated freedom for about 3,200 slaves residing or working in Washington. The total cost was around $1,000,000 ($300 per slave to owners) … and this is the only compensated emancipation act ever completed in the USA – though others were debated. In fact, at this very time, debates were swirling in Congress relative to dealing with slavery in the border states. The passage and signing of this bill set the stage for larger efforts and measures to come – ultimately of course the Emancipation Proclamation – announced in the wake of Antietam on September 22nd. April 16th is “Emancipation Day” in Washington and is celebrated annually as such. 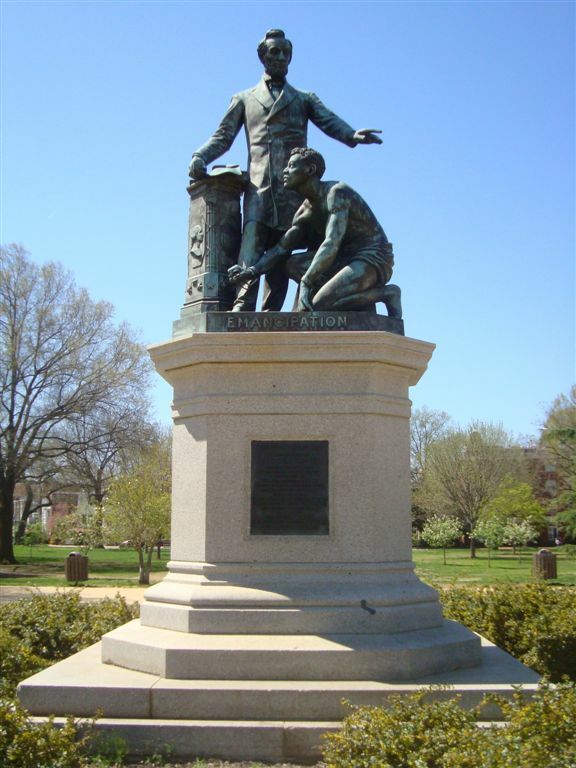 Posted by Randy Buchman on April 16, 2012 in Sesquicentennial Series and tagged Civil war blog, Emancipation Day in Washington.